Jonathan Edwards triple jump signed 10x8 inch press photo. 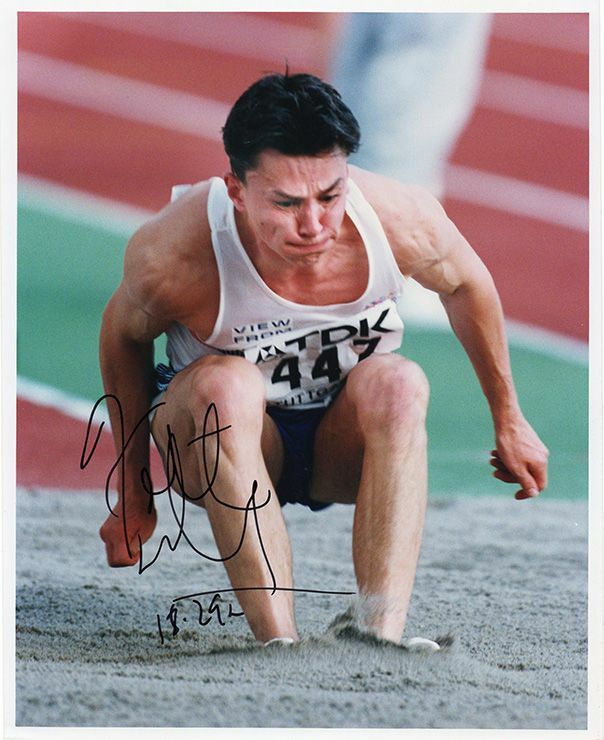 10x8 inch colour press photo personally hand-signed in black sharpie pen by English triple jump legend, Jonathan Edwards. Genuine vintage press photo dated 20th August 1993 with photographer's details on the reverse.